It's Christmas, but not as you know it: a new book by released this week by Pope Benedict VI looks at the early life of Jesus – and debunks several myths about how the Nativity really unfolded. In "Jesus of Nazareth – The Infancy Narratives," the pope says the Christian calendar is actually based on a blunder by a 6th century monk, who Benedict says was several years off in his calculation of Jesus' birth date. The head of Catholic Charities in D.C. recently experienced the struggle of low-income families relying on food stamps, noting that Christian charity lends vital support to those in need. “Most of us don’t have a real sense of what it’s like to be on food stamps,” said Fr. John Enzler, president and CEO of Catholic Charities of the Archdiocese of Washington, D.C. While the Church of England's legalism has halted progress on equality issues by voting against the ordination of female bishops this week, EU anti-discrimination law may prove its salvation. A member of an Oregon City-based faith-healing church will remain in prison while her manslaughter conviction is on appeal. A Clackamas County judge turned down a petition Monday for early release while the conviction of Shannon Mae Hickman, a member of the Followers of Christ church, is reviewed by the Oregon Court of Appeals. An Indian artist gives the final touches to a statue of Hindu goddess Kali ahead of the Diwali festival, the Festival of Lights, in Allahabad on November 10, 2012. 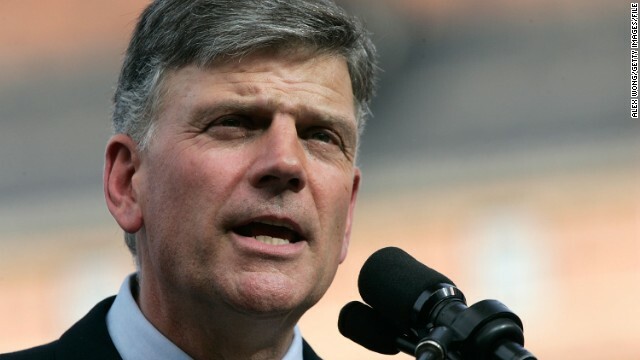 With the world facing “perilous times” and “anxiety stemming from economic challenges,” evangelical leader Franklin Graham is asking congregations to pray for President Barack Obama, even though Graham endorsed the president’s opponent in the 2012 election. its easy u all know about Christianity and its inconsistencies well proved now by the pope him self on CNN....but why don't u know about Islam now. Not what u see on CNN,not what your mum said nor your pastor or priest said and not what u see some Muslims neighbors of yours do....noooo nay,,, what have u searched your self...i dare u do....find the true,i swear nothing makes any sense as Islam does,those guys know the whole truth.....even if it will hurt,just like Santa-clause when u 12 year or the rats that gives money to the de toothing kid in our Ugandan myth , u deserve to know the truth.....and if no scientist has come out and disproved the divine origin of this universe logically then there must be a mighty some one behind it and that Creator or whatever it is, HE has a way, a straight path to Him and we are obliged to know it....so my adverse to u is look hard for the true coz it is clear from false,even if u may hate it! !, but but look with with an open mind and an open heart...i wish all.. It is arrogant to think you can change the mind of you all powerful god. Jesus was born in the spring, where it was written flowers were blooming. Christmas is a made up day because it was close to the shortest day of the year. So it became a festivity of lights for the shortest days of the year. Good time to pick up Spirits. Either way, all it signifies now is how much cheap Chineese made shiney plastic cra_p one buys from MalWart. Go ahead. Type your little fingers down to stubs now. Your classes will be starting again on Monday and the grown ups will come back here. A bientot.